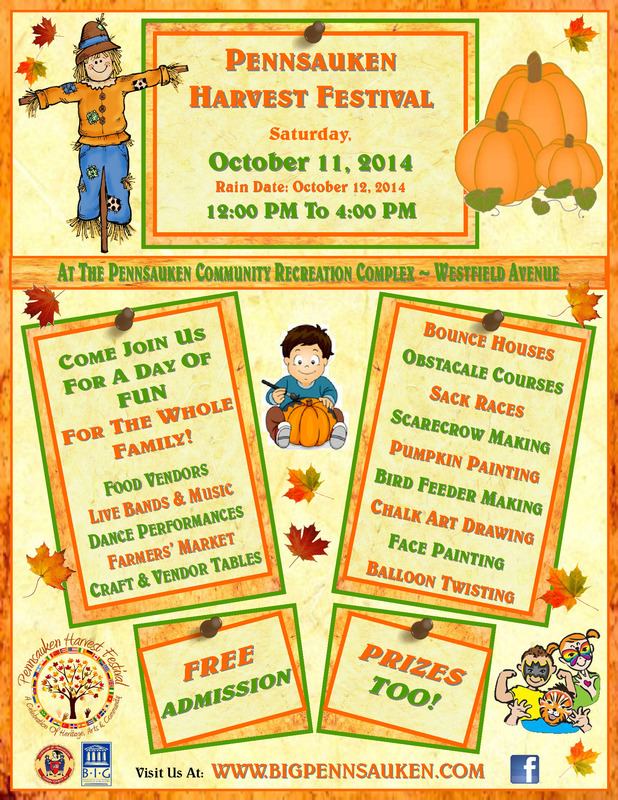 Headed To The Pennsauken Harvest Festival! Just Plain Silly’s headed to the Pennsauken Harvest Festival! 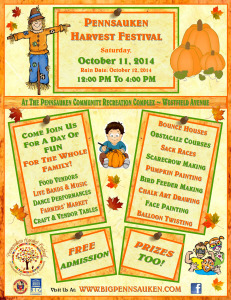 Just Plain Silly’s headed to the first-ever Pennsauken Harvest Festival this weekend! We’ll be twisting balloons and face painting for FREE at the Pennsauken Community Recreation Complex on Westfield Ave. from 12 to 4 p.m. The festival features plenty of entertainment for the kids, including bounce houses, scarecrow making, pumpkin painting, and us! There will also be music and dance performances held throughout the day and plenty of vendors and crafters with wares for sale! *NOTE: As inclement weather is expected on Saturday morning, a decision to move the event to the rain date of Oct. 12 will be made on Oct. 11 by 7 a.m. You can find out if the Harvest Festival has moved to Sunday by calling 856-665-1000.